Our waterways which criss cross through rural & urban landscapes, from summit to sea, provide precious habitats, a place to play and an important barometer for the health of our environment. Water is often at the heart of our communities, yet every second the plastic products of our modern living are swept up by our rivers and out to sea. For many this means out of sight, out of mind. Up and down the country, huge efforts are being made to stem the tide of junk clogging our rivers. Some have dubbed it ‘The Blue Planet 2 effect’, but for many it is a simple desire to ‘do their bit’ in protecting the blue environment. 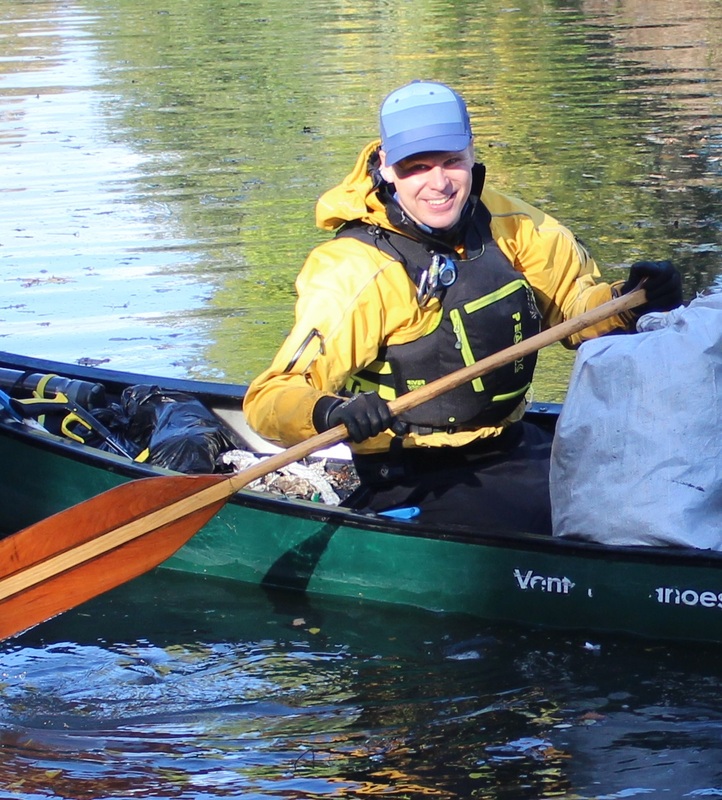 This April, British Canoeing along with the Open Water Swimming Association, British Mountaineering Council and Surfing England, has partnered with Surfers Against Sewage to undertake the biggest and most effective volunteer beach and river cleaning project in the UK. Taking place between the 6th and 14th of April, the spring campaign is set to top its record breaking autumn effort, with more volunteers, more events and even more rubbish taken out of the water and off the beaches. In 2018, Surfers Against Sewage Ambassador Cal Major paddle boarded the length of the UK, 1000 miles from Land’s End to John O’Groats, to highlight that wherever we are in the UK we’re never too far from plastic pollution. Some of the canals and rivers I paddled during my journey were simply teeming with rubbish. One stretch of canal in North Manchester was particularly clogged with plastic bottles. Shortly after my trip I went back with a group of stand up paddleboarders and we cleared 436 plastic bottles from a 1.5 mile stretch of canal! The more plastic we use on land, the more has the opportunity to enter our waterways and eventually our oceans, so connecting to this idea, and to nature at large inland too, is essential in tackling the plastic pollution problem. At its root, it could be argued that a disconnection between the public and nature means people are less likely to take notice of the damage they are causing to the environment where they live. For as long as I can remember, at an annual Boxing Day event on the River Derwent in Derbyshire, it has been tradition for members of the public to pelt participants floating downstream on homemade rafts with plastic bags of flour. The amount of plastic that subsequently lines the banks and trees down river is deeply depressing and left to canoeists to recover before it breaks down. It is a worrying lack of understanding by spectators, that such a simple act can really harm our fragile river. The Big Spring Beach & River clean is just one of many campaigns energising volunteers to take action against plastic pollution. Fundamentally we have to change the way we think about plastic and how care for our waterways. We must stop them becoming the end of the line for our waste. Critically, the more people can appreciate these places, explore, access and experience these spaces, the more they will be inclined to protect them for future generations. The opinions expressed in this blog are the author's and not necessarily those of the wider Link membership. One year on, is the Government delivering on the 25 Year Environment Plan?